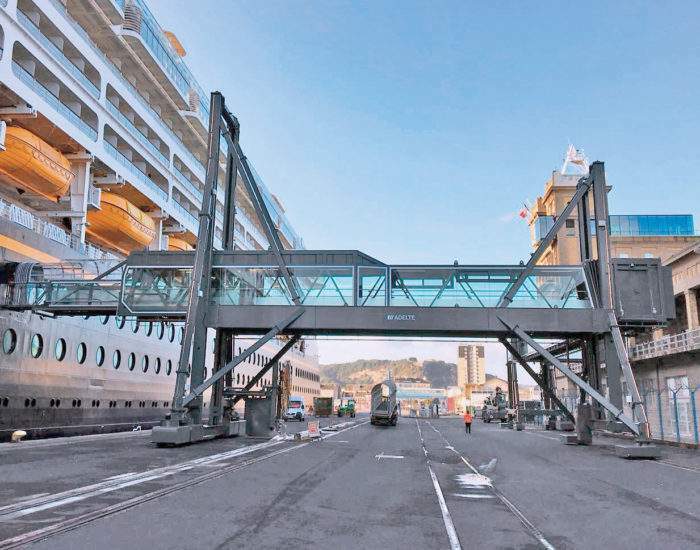 ADELTE delivered two HYDRA Seaport Passenger Boarding Bridges to Cruise Terminal F in Port Miami. 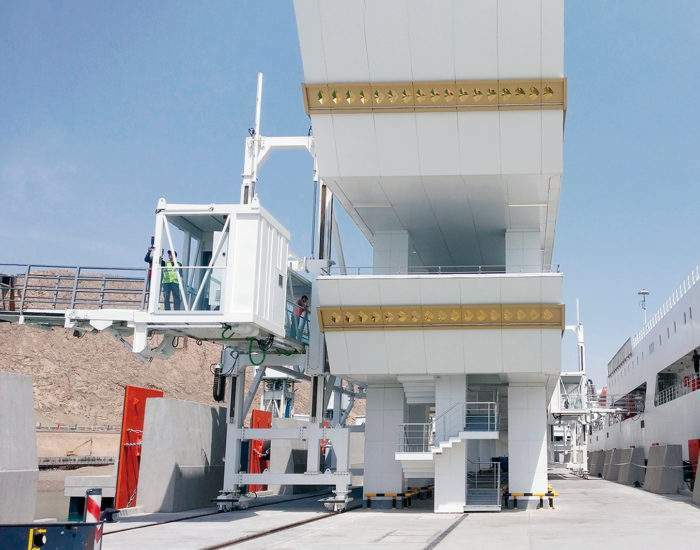 The two unique SPBBs are specifically designed to service the MSC Seaside, though other cruise ships will also operate with these bridges. 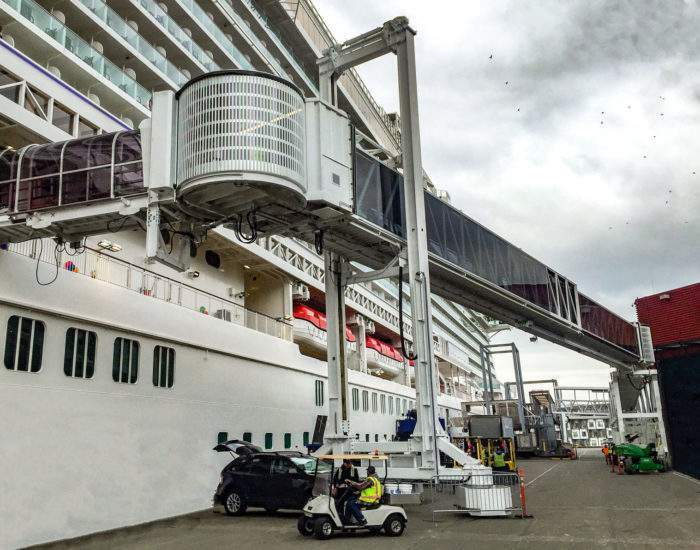 Due to terminal space constraints and the 2.8 meter large overhanging terrace of the MSC Seaside, a four sections telescopic cabin has been constructed. 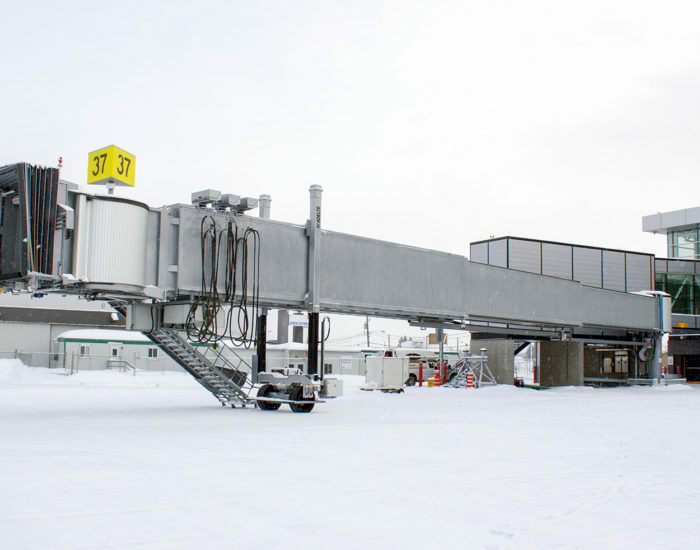 The large cabin is attached to a telescopic tunnel section which makes these SPBBs the most flexible boarding bridges currently in operation at Port Miami.